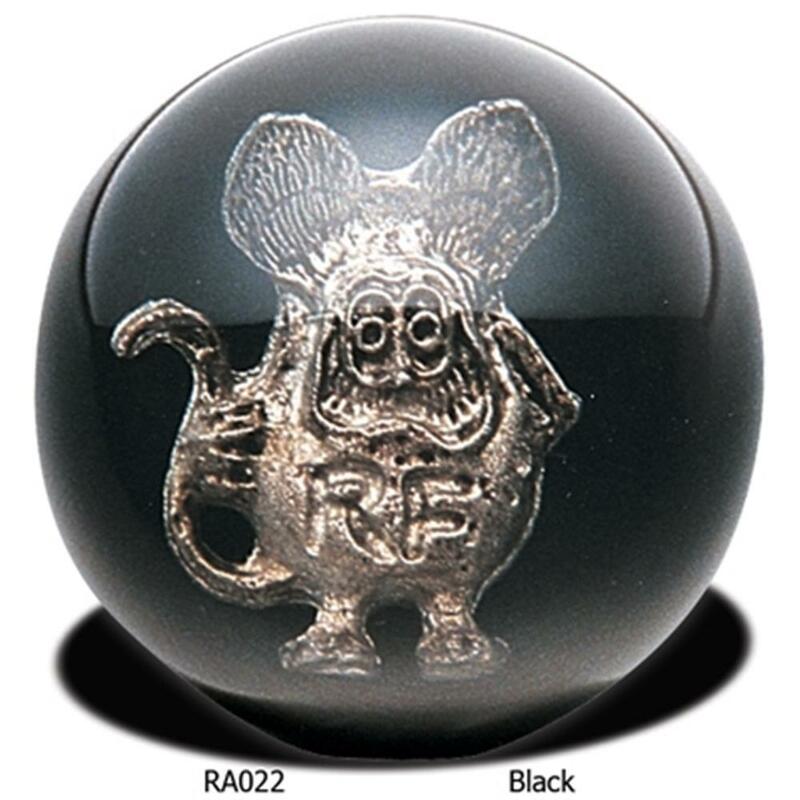 The Rat Fink solid black shift knob with a metal die-cast Rat Fink character, is one of the first ever designs by Ed "Big Daddy". Universal application to fit most shifters. Made from thermoset-resin this knob features embedded logos with the coolest Rat of all time. Diameter is just under 2 1/4"